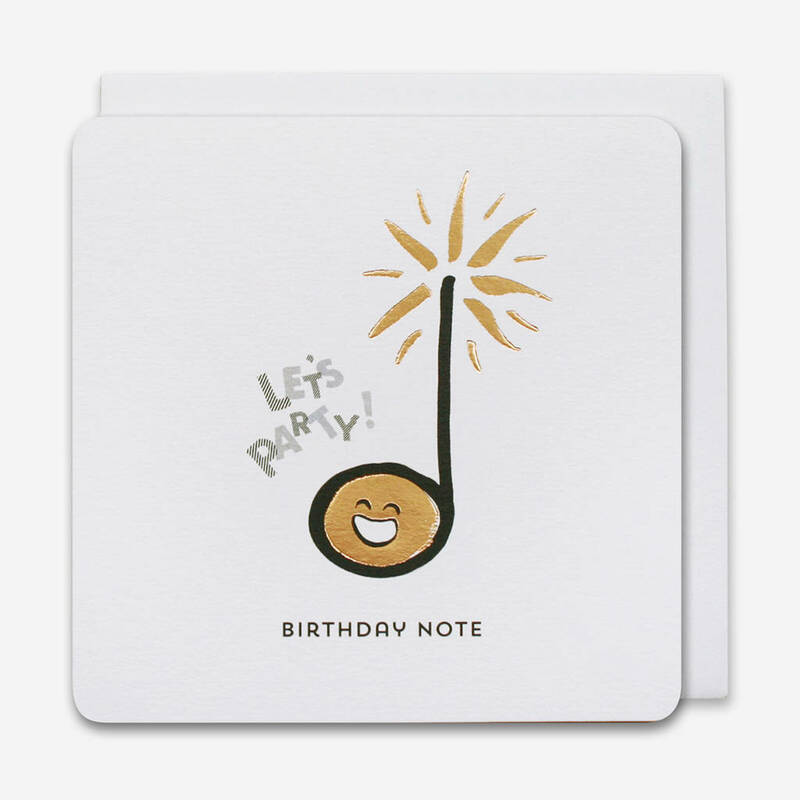 A playful yet elegant birthday card of a celebrating music note with a happy face saying 'Let Party'. Gold foiled. 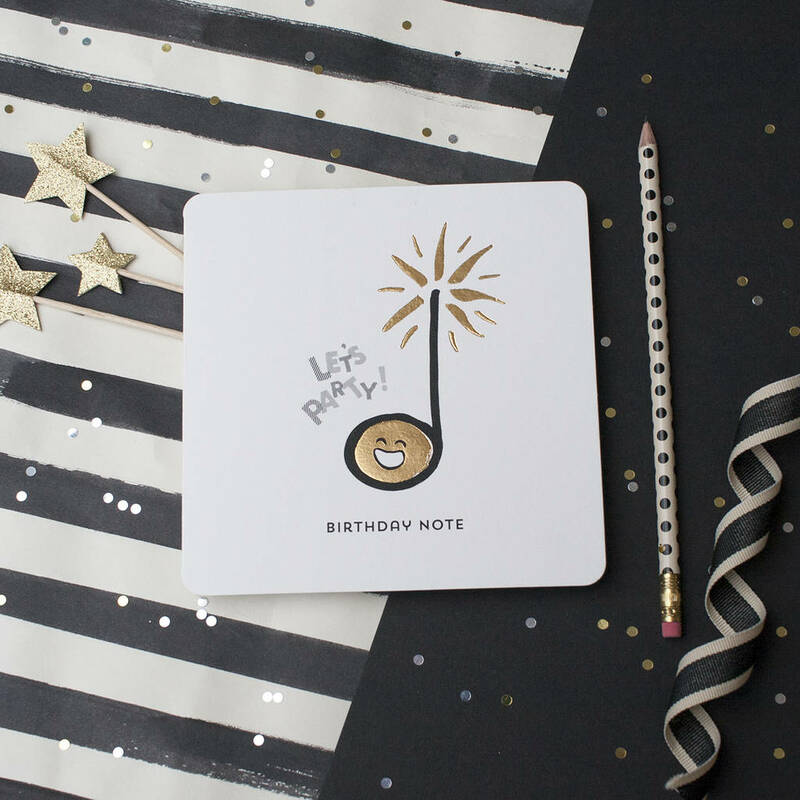 A playful yet elegant birthday card of a celebrating music note with a happy face saying 'Let Party'. The caption reads 'Birthday note' Hand painted with brush and ink and gold foiled. The card is blank inside for your own special message. This card is created from hand painted designs made with brush and ink which gives the pattern a unique, rich texture where the individual brush strokes are clearly visible. The design is then litho printed in black and then gold foiled for a little bit of luxury. Each card comes with a matching off-white envelope and is packaged in a protective, clear cellophane bag. Printed in the UK on high-quality FSC certified uncoated thick card. The card is 12.5 x12.5cm with rounded corners and fits into a matching off white square envelope. This product is dispatched to you by Spots and Stripes.